From the DeTour Roadside Park, the Campground is found only 1 mile further east on M-134. The entrance to the park is on the right (south) and is marked only by a small brown camping sign before it. The entrance drive is 0.8 miles long. There is a parking area once you reach the campground near the dumpsters. A 1.5 mile trail, which ends at the park entrance, can be found between campsites 12 and 13 and is marked by a blue flag. When hiking along the shoreline please stay on the trail and be careful to not step on the local endangered plants. 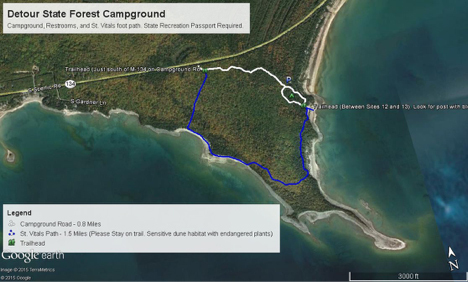 ​This park boasts a 2.2 mile trail loop (hiking trail + campground road) that winds through sandy dune like habitat, thick spruce/cedar forest and a small patch of oak/beach forest. It also provides opportunities for birders to walk to the end of Point Vitals, one of the furthest south reaching points in the area. This point is another excellent place to catch large roving flocks of migrant warblers, vireos, flycatchers, tangers and orioles. Highlights of some migrant species include Orange-Crowned Warbler, Wilson’s Warbler, Canada Warbler, Blue-Headed Vireo and Philadelphia Vireo. In addition if one travels out to the end of the point there is a chance to see a number of rare shorebird and raptor species that land here. 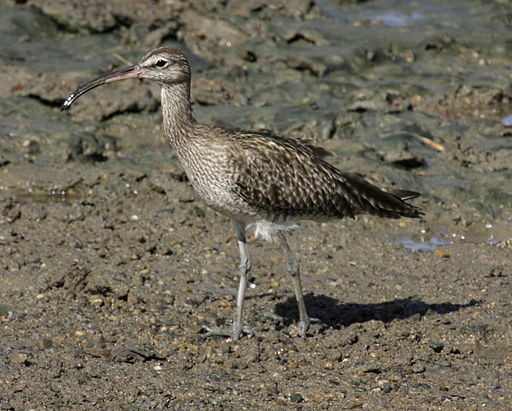 In one year a large flock of over 20 Whimbrel was seen at the tip of the point. Summer species seen here include numerous Blue-Throated Warbler, Golden-Crowned Kinglet and a pair of nesting Merlin. Long-Tailed Ducks, Bufflehead and Common Goldeneye can also be seen out over the open water, sometimes at a great distance and occasionally Common Loon can be heard calling here. There is a small dune complex that exists along the sandy shorelines here and is home to one of the rarest coastal plants of the Great Lakes, the Pitcher’s Thistle. 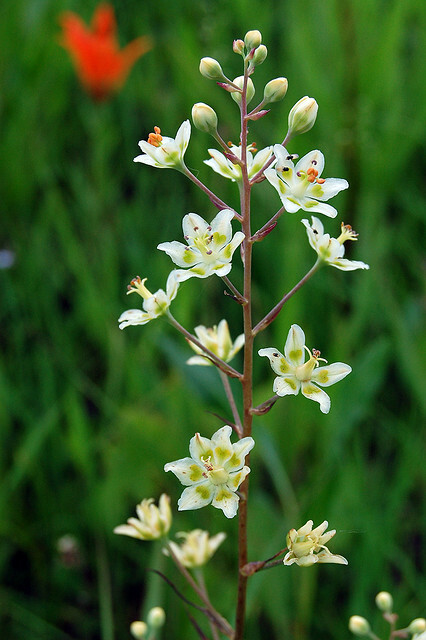 This plant can only be found in the sandy shores of the Great Lakes and numerous individual plants are found here. In addition there are other interesting shoreline plants such as Lake Huron Tansy, Wormwood, Death Camas and a number of orchid species such as pink and yellow lady slippers.